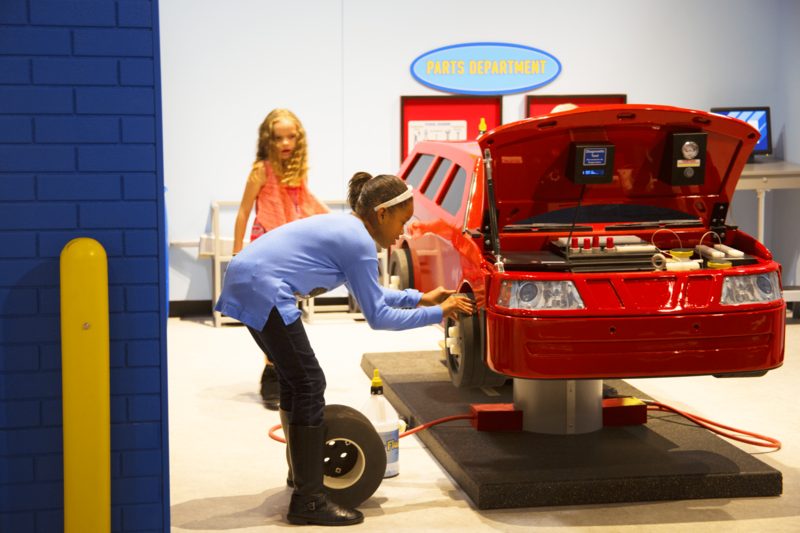 The Museum’s Super Service Center exhibit is a pretend auto repair shop, featuring science, technology, engineering and math (STEM) education opportunities for pre-school and school age children. 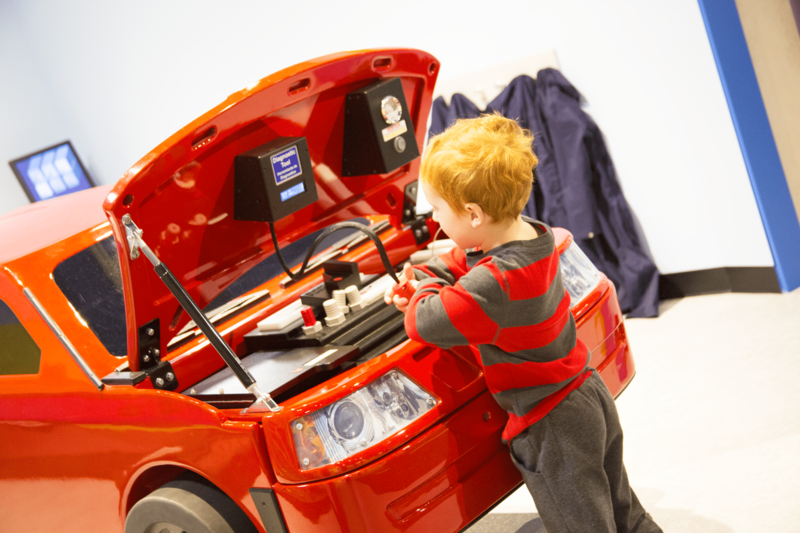 The centerpiece of the exhibit is a realistic, kid-sized car set against a service department photo mural. 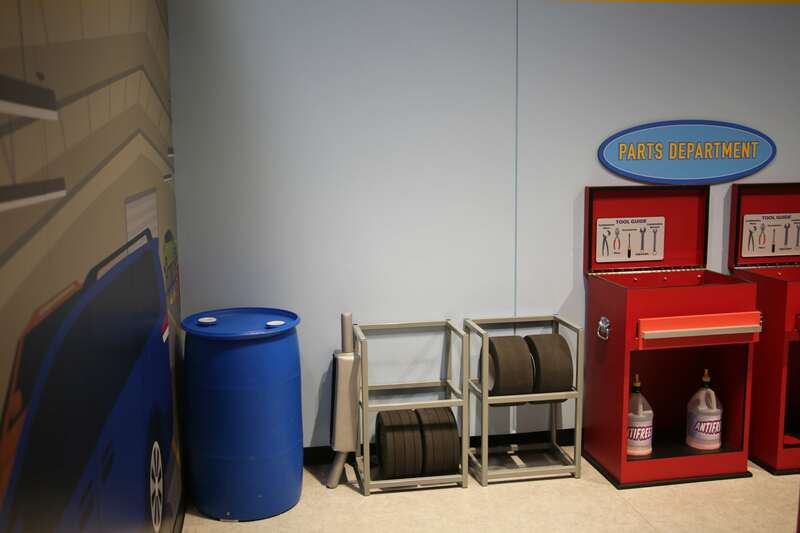 Exhibit features include a diagnostic engine inspection activity with removable auto parts, a mechanic’s creeper, changeable mufflers, tires and lug nuts, a pretend pneumatic driver with sound effects, a parts counter with interactive software, and pretend tools and costumes. The museum is fundraising in order to purchase and install this exhibit by March 30, 2019. Your funds will help with the installation and purchase of this permanent exhibit that is currently only at some of the finest children’s museums across the country. 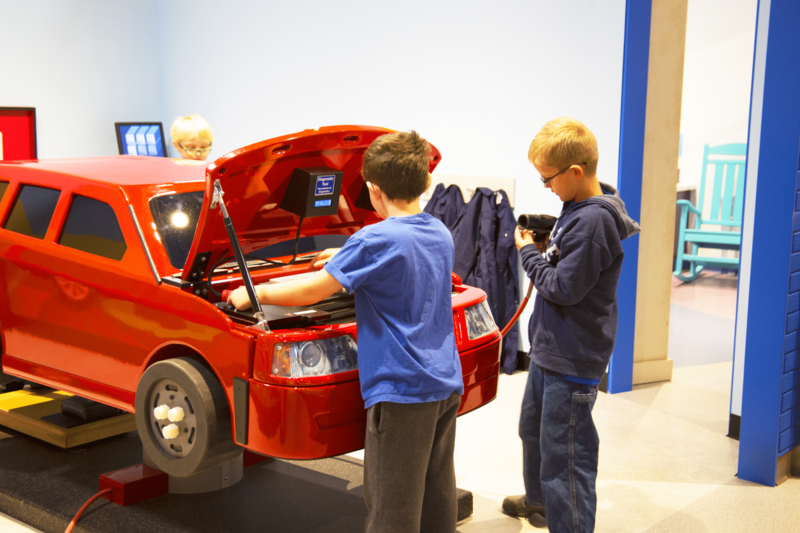 Please help the museum become a hub of STEM education and experiential opportunities for children to learn the skills and the tools necessary for automotive maintenance and business. 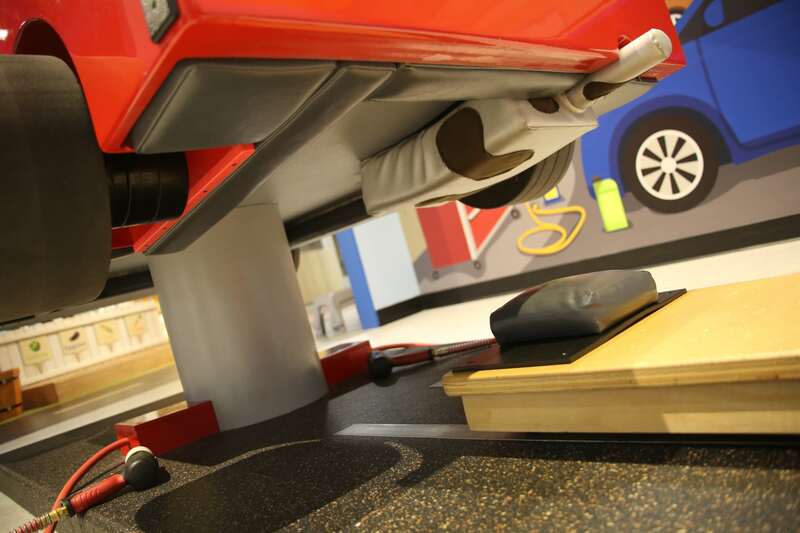 Little mechanics can step into a pretend auto shop equipped with all the tools they need to perform maintenance on a kid-sized car mounted on a lift. The exhibit’s hands-on activities encourage cooperative play and stimulate the development of fundamentals skills in young children. 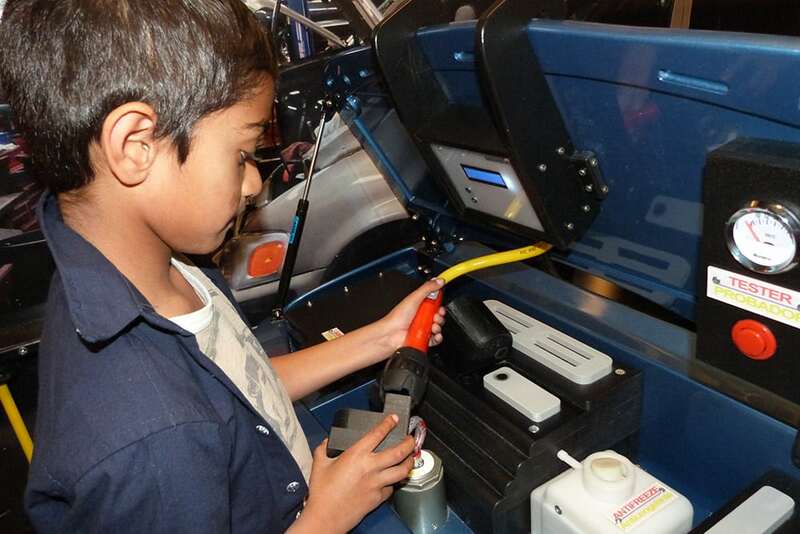 Children will have fun sorting, matching and problem solving as they select tools, replace parts and fill work orders. 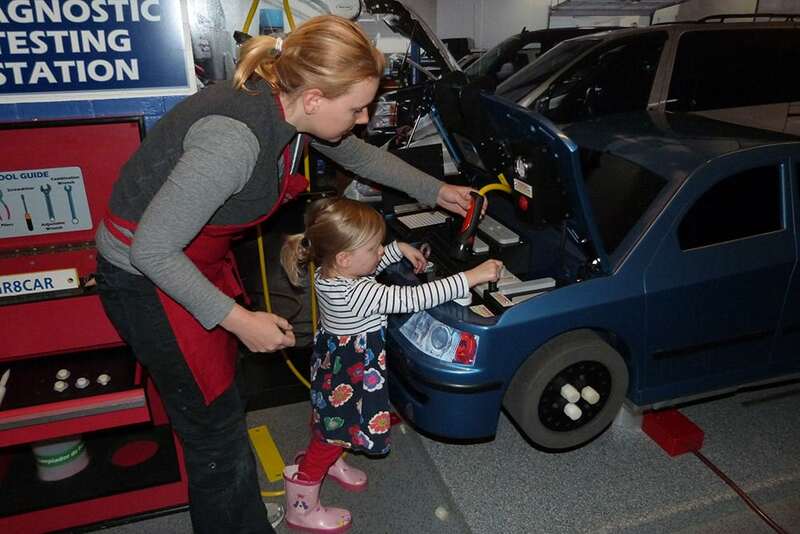 Working with other mechanics encourages positive social skills, and the exhibit’s activities will help enhance fine and gross motor skills. Corporate Sponsorships available. Please call Tara Hitzig at 310-658-5564 or tarah@theadm.org for more information. 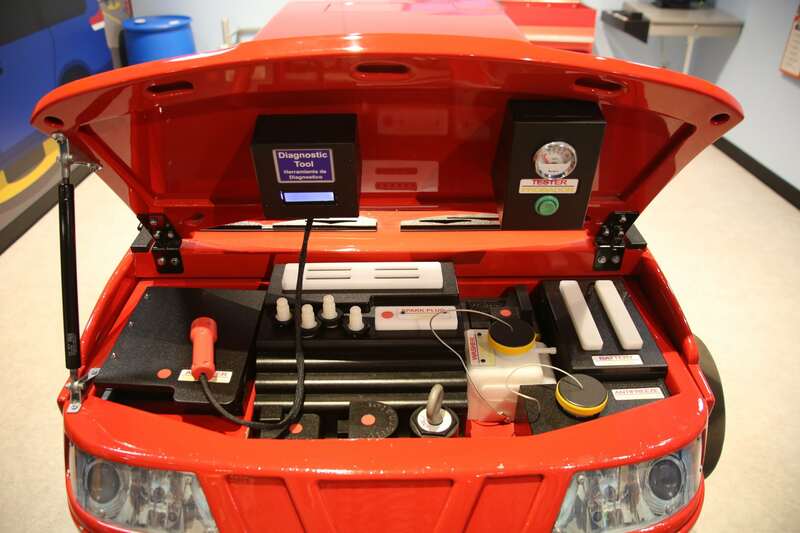 $10,000 – 1 available – Super Service Center will be named after corporate entity. Includes marketing on all promotional marketing materials, website and social media with link to business continuously and a presenting table sponsor of 10 to our annual fundraising Gala. $5,000 – 2 available – includes marketing on all promotional marketing materials, website and social media with link to business for one year, recognition as a sponsor at the Super Service Center with logo and a table sponsor for 10 at our annual fundraising Gala. $2500 – 4 available – includes marketing on all promotional marketing materials, website and social media with link to business for one year, recognition as a sponsor at the Super Service Center with name and six seats to our annual fundraising Gala. $1000 – 6 available – recognition as a sponsor at the Super Service Center and on website (with link to business) with name of business and four seats to our annual fundraising Gala. $500 – 8 available – recognition at our annual Fundraising Gala with two seats and business name on website. The Automobile Driving Museum is an outstanding testament to the preservation of history. 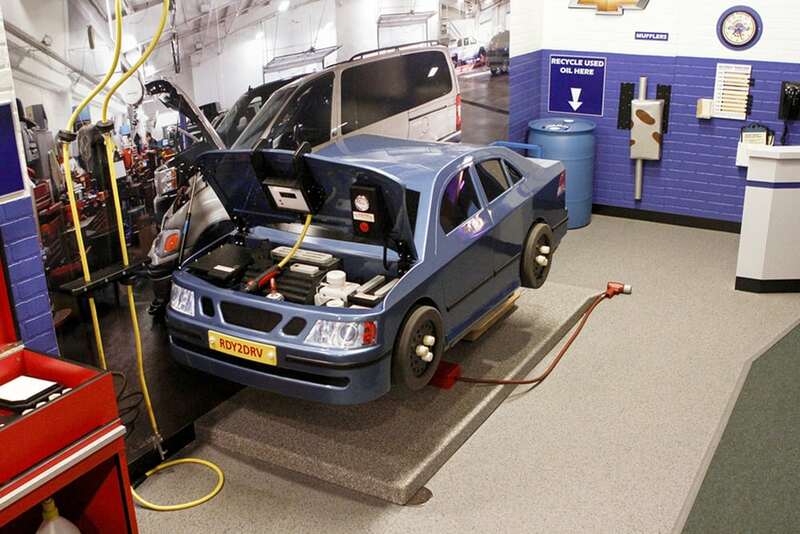 As the museum continues to grow and add cars to its collection, we are grateful to our sponsors and friends who help us maintain our facility, keep our cars in working condition and enable our educational programs to grow and thrive. As a nonprofit 501(c)3 organization, the museum depends on the generosity and support from its private and corporate sponsors. Your gift to the museum is tax deductible. Select your donation amount below! If you’re interested in or have any questions about volunteer work, please fill out the form below. Fill out the form on the left in order to find out more about our volunteering opportunities.